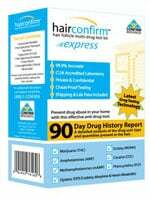 If you’re concerned that your system might show a positive reading for methamphetamine, you’ll want to order a methamphetamine drug test today to know for sure. 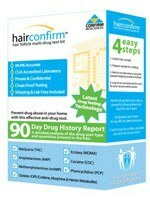 Each of our test kits offers a 99% accuracy rating and nearly-immediate results to provide peace of mind in minutes. In the privacy of your own home, simply dip a test strip into your urine sample and in as little as five minutes you’ll see the results. 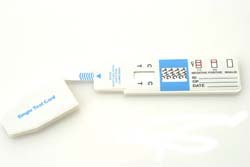 One line on the amphetamine test strip means you’re indicating a positive reading, while two lines shows a negative result. You’ll know exactly where you stand almost immediately - perfect for assessing your toxin levels prior to a drug test or health screening. Best of all, these kits are value priced and covered by a 100% money back guarantee. Contact us today to place your order, then enjoy real peace of mind as you determine in minutes if you’re at risk of a failed drug test. NEGATIVE: Two lines appear. One colored line should be in the control region and another apparent colored or a faded color line adjacent should be in the test region. This negative result indicates that the drug concentration is below the detectable level.NOTE: The shade of the test line region will vary, but it should be considered negative whenever there is even a faint colored line.